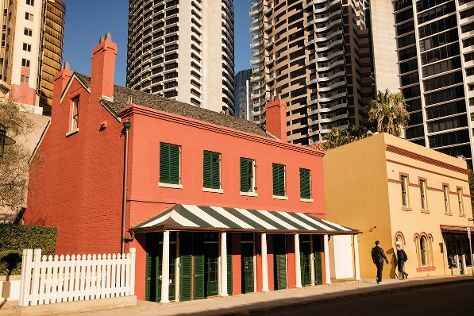 Your inner history buff will appreciate The Rocks and Vaucluse House. Relax by the water at Bondi Beach and Camp Cove. Venture out of the city with trips to Shelly Beach (in Manly), Katoomba (Wentworth Falls & The Three Sisters) and Bilpin Cider Company (in Bilpin). Spend the 8th (Mon) exploring nature at Bradleys Head Trail. Next up on the itinerary: catch a live performance at Sydney Opera House, enjoy the sand and surf at Manly Beach, wander the streets of Darling Harbour, and stroll through Clovelly Beach. To find maps, more things to do, traveler tips, and more tourist information, use the Sydney trip planner. Adelaide to Sydney is an approximately 4.5-hour flight. You can also drive; or take a bus. In April, daytime highs in Sydney are 26°C, while nighttime lows are 17°C. Finish your sightseeing early on the 8th (Mon) to allow enough time to drive to Newcastle. To find reviews, where to stay, and tourist information, use the Newcastle holiday planner . Drive from Sydney to Newcastle in 2 hours. Alternatively, you can take a train; or take a bus. April in Newcastle sees daily highs of 27°C and lows of 15°C at night. 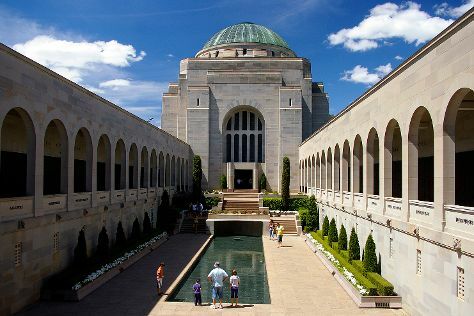 Finish up your sightseeing early on the 9th (Tue) so you can travel to Canberra. Visiting Australian National Botanic Gardens and Lake Burley Griffin will get you outdoors. Deepen your sense of the past at sights like St John the Baptist Church and Canberra Rotary Peace Bell. There's lots more to do: get engrossed in the history at Australian War Memorial, get your game on at Breakr, explore the world behind art at National Gallery of Australia, and contemplate the long history of Lanyon Homestead. To find other places to visit, photos, traveler tips, and other tourist information, refer to the Canberra trip maker site . Traveling by flight from Newcastle to Canberra takes 4 hours. Alternatively, you can drive; or do a combination of train and flight. In April, Canberra is little chillier than Newcastle - with highs of 24°C and lows of 7°C. Finish your sightseeing early on the 12th (Fri) so you can travel to Mildura. Kick off your visit on the 13th (Sat): explore the activities along Murray River and then brush up on your knowledge of spirits at Fossey's Ginporium and Distillery. To find where to stay, ratings, other places to visit, and more tourist information, go to the Mildura attractions planner. Fly from Canberra to Mildura in 4.5 hours. Alternatively, you can drive; or take a bus. Plan for a bit warmer temperatures traveling from Canberra in April, with highs in Mildura at 28°C and lows at 12°C. Cap off your sightseeing on the 13th (Sat) early enough to travel back home.